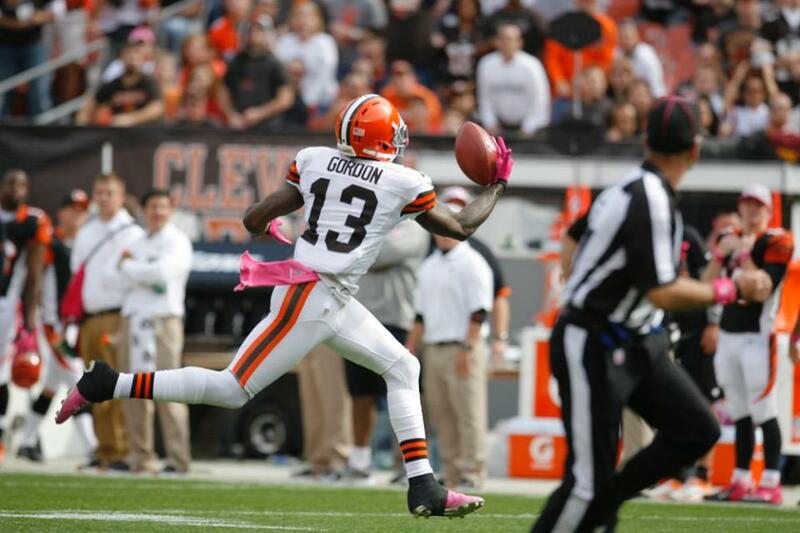 Is Josh Gordon already the Browns best wide receiver? Just seven games into his NFL career, has Josh Gordon become the best wide receiver on the Cleveland Browns? Not bad for a second-round supplemental draft pick who only played one year of college ball at Baylor. “I think he’s shown me that he’s got a chance to be a pretty darn good player,” Browns coach Pat Shurmur said on Thursday. “Now, how far he goes with that we’ll see, but I’m seeing steady improvement. I think it’s fair to say the light has gone on a little bit. Here’s a guy that came in, admittedly, when he came to training camp he needed to get in shape, he needed to learn the offense, he hadn’t played in a while – there were a lot of things running parallel. Now, saying Gordon is the best wide receiver on the team may be somewhat of a dubious honor – the Browns wide receiving group is not exactly among the league’s elite – but they are clearly light years ahead of the mess that general manager Tom Heckert inherited from Eric Mangini. Consider, for example, Brian Robiskie, taken in the second round of the 2009 NFL Draft, who has 441 yards and three touchdowns – in his entire career. Gordon is leading all NFL rookies in receiving touchdowns (4), receiving yards (333), receptions of 20 yards or longer (5) and ranks fourth in scoring (24) and is tied for fourth in receptions (14). He has an NFL rookie-best 333 receiving yards. He is on pace to set the Browns’ rookie receiving yards record (Kevin Johnson had 986 yards in 1999). After catching a 33-yard touchdown at Indianapolis on Sunday, he became the first Browns rookie to record three consecutive games with a touchdown reception of 30 yards or longer and first NFL rookie to accomplish that feat since Randy Moss did it in four straight games in 1998. With four touchdowns on the season, Gordon is the first Browns rookie to score four or more receiving touchdowns since Andre’ Davis recorded six in 2002. When the day comes after the season that Browns owner Jimmy Haslam sits down with Heckert to discuss his future, Heckert should just have a loop of Gordon’s highlights playing in the background. And to think some called this a panic move when the Browns selected Gordon.